born 8. Mai 1899 in Vienna, he studied in his hometown law and political science. After his graduations for “Dr. jur.” in 1921 and “Dr. rer. pol.” in 1923 followed his habitation in 1929. 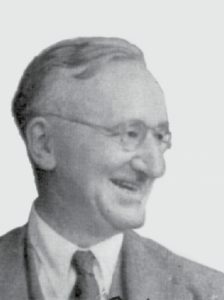 From 1931 on Hayek taught at the London School of Economics, where he developed a critically view on Socialism, Keynesianism and some Neoclassical ideas. On October 1950 he was appointed as ‘Professor of Social and Moral Sciences’ at the University of Chicago. In 1961 Hayek accepted the call for a professorship for economic policy at the University of Freiburg (Breisgau) and was not far later elected as director of the Walter Eucken Institute. In the following years he developed amongst others his important articles concerning the theory of spontaneous collocation and the conception of competition as a discovering process. In 1967 Hayek retired but rested representative of his own former chair until 1969. The importance of his works is not least expressed by the fact that he obtained the Nobel Prize in Economics in 1974. After a stay in Salzburg as an honorary professor for some years he returned to Freiburg in 1977. The Walter Eucken Institute appointed him to its honorary president in 1978. At that time, he finished the trilogy ‘Law, Legislation and Liberty’ (1973, 1976 and 1979), which has already been partly developed in the sixties and has to be seen as Hayek’s most important work beside ‘The Constitution of Liberty’. In 1988 his fundamental criticism of socialism: ‘The Fatal Conceit – The Errors of Socialism’ was published. Hayek died 23. March 1992 in Freiburg. Further information: Vanberg, Viktor J.: F. A. von Hayek, in: N. J. Smelser, P. B. Baltes (Hrsg. ): International Encyclopedia of the Social and Behavioral Sciences, Vol. 10, Amsterdam et al. : Elsevier 2001, S. 6482-6486. Vanberg, Viktor: F. A. Hayek und die Freiburger Schule, ORDO, Bd. 54, 2003, S. 3-20.